To provide supplementary food, grocery and household products to qualifying families in the Schulenburg area. Friends helping friends 'til hunger is no longer a problem in Schulenburg. Our distribution center is open every Thursday from 9 AM to 11 AM, excluding national holidays. 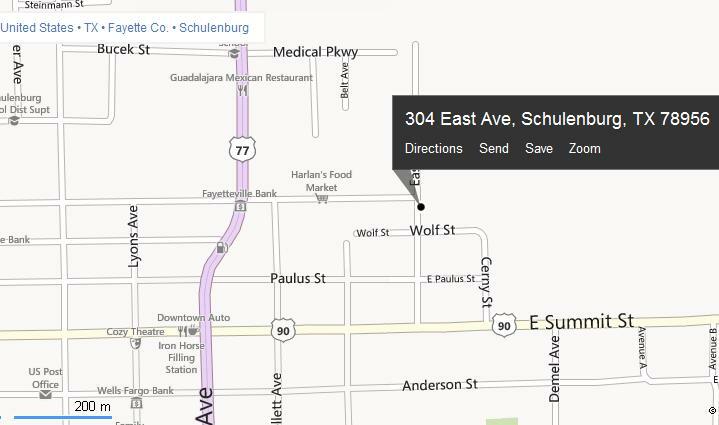 Click here to view a map that shows where we are located.